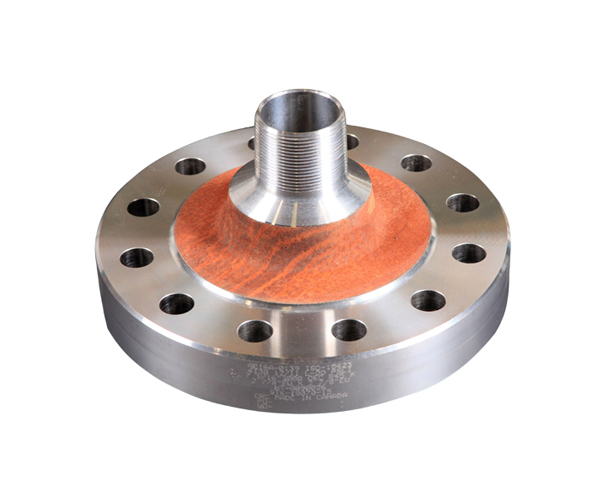 API flanges in various sizes, pressure ratings and end connections. The male pins come in 7 1/16" 2,000 3,000 or 5,000 psi ratings with 2 3/8", 2 7/8" or 3 ½" EU connections. Line Pipe is also available.